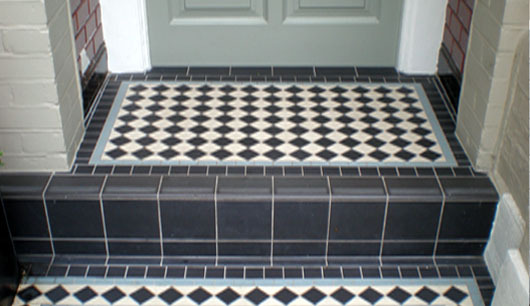 First impressions count – and an elegant pathway or doorstep in Victorian geometric tiles always adds a touch of class. 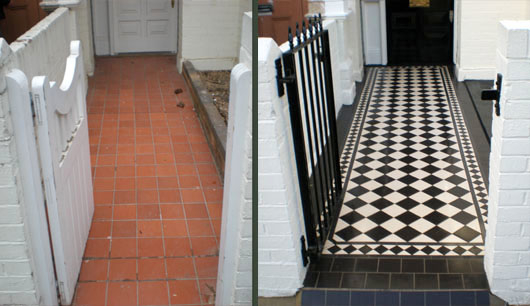 Floor tiles were first developed and used in the Roman period, and then in medieval churches and monasteries. 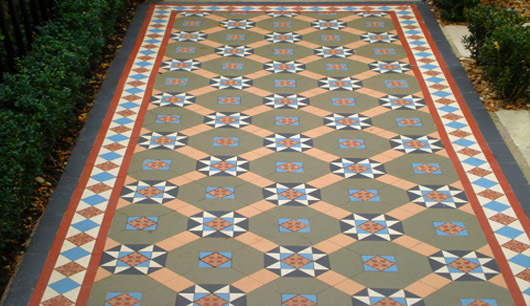 It was the Gothic revival in the Victorian age that saw geometric tiles enjoy enhanced popularity, when they were often used in grand establishments as far afield as Raffles Hotel in Singapore. You can now bring this elegance to your own front door. 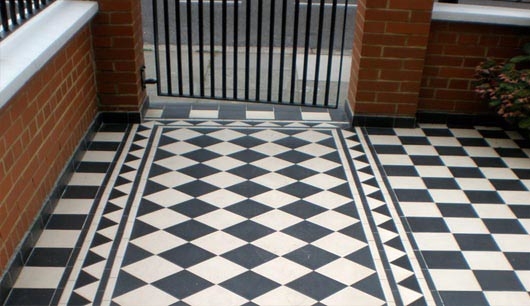 Our suppliers offer a variety of colours, shapes and sizes of tiles for you to choose from, and our expert tilers will ensure that they are professionally laid and finished so that they look good for years to come. We can also make and install bespoke iron railings and gates.